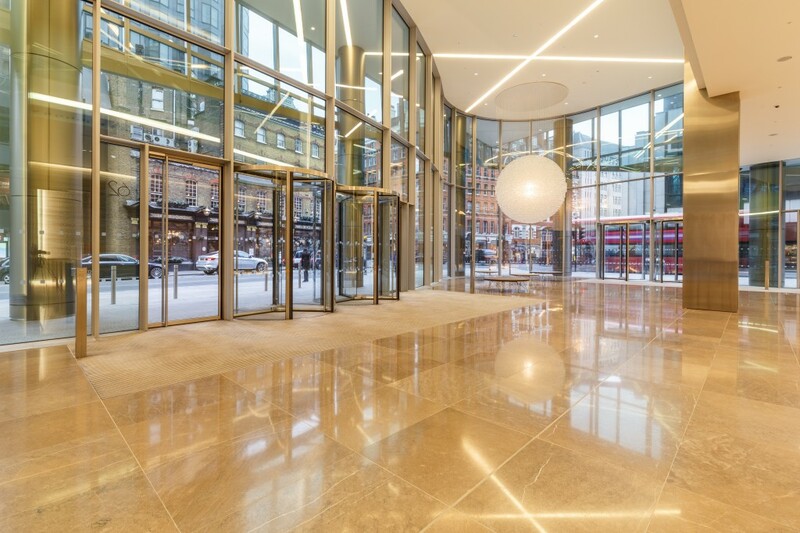 62 Buckingham Gate is an exemplary new building in the heart of London’s Victoria. 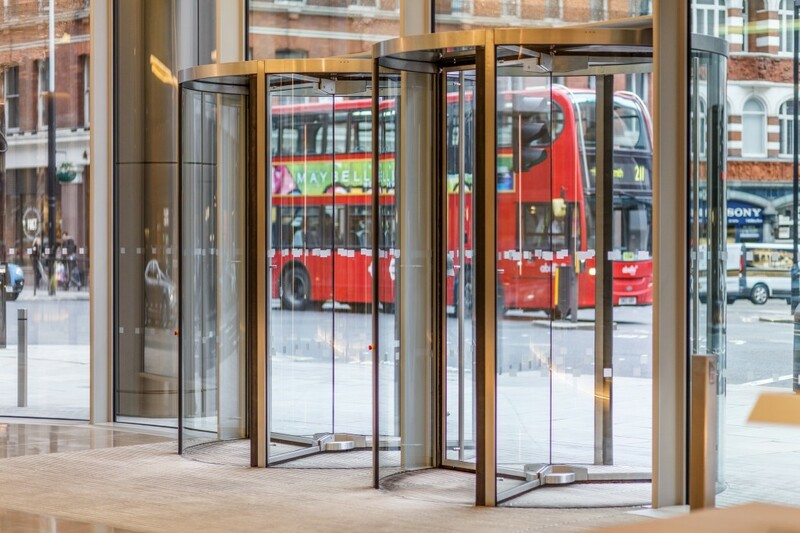 A striking structure of tilting planes of glass. 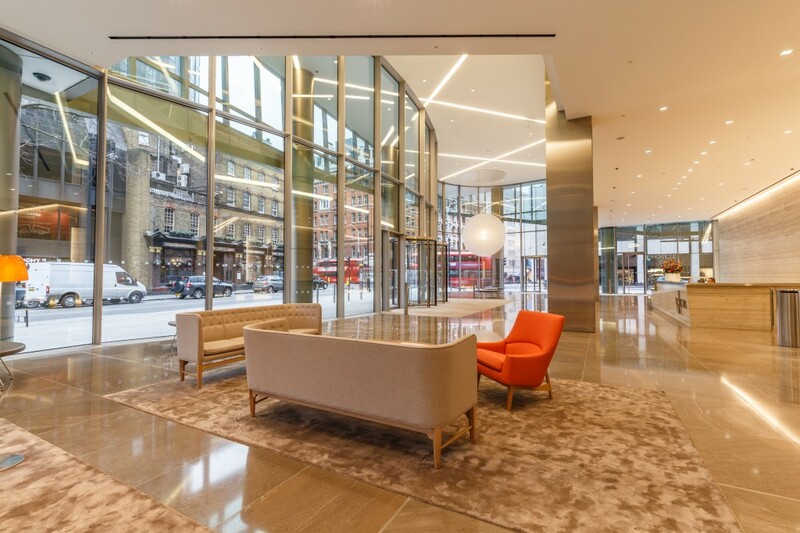 Its bold, modern design contains 257,000 sq ft of high spec office space, with new retail and public realm space at ground level. The building has light-filled, highly efficient floorplates. By virtue of its island site, many of the floors have far-reaching views over London. 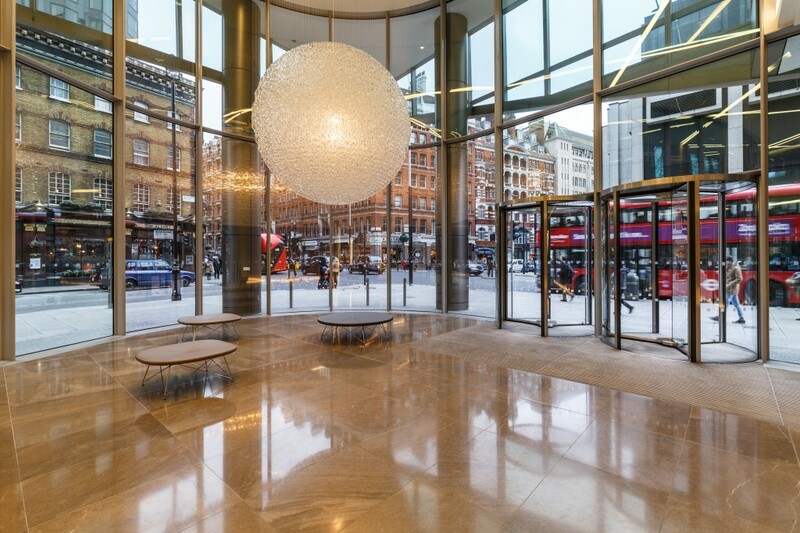 The art-filled double-height reception has a dedicated taxi drop-off point to the Buckingham Gate frontage. 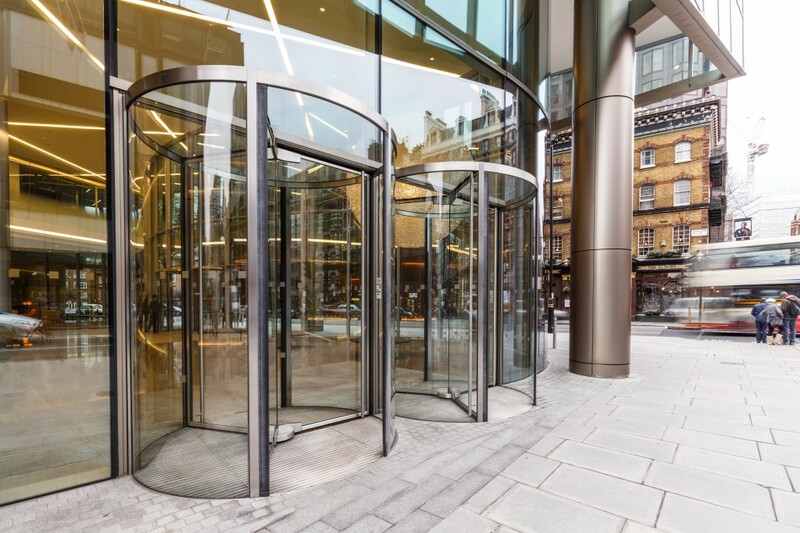 62 Buckingham Gate was conceived by architects Pelli Clarke Pelli, with Swanke Hayden Connell as executive architects, and interior designed by Lehman Smith McLeish (LSM). 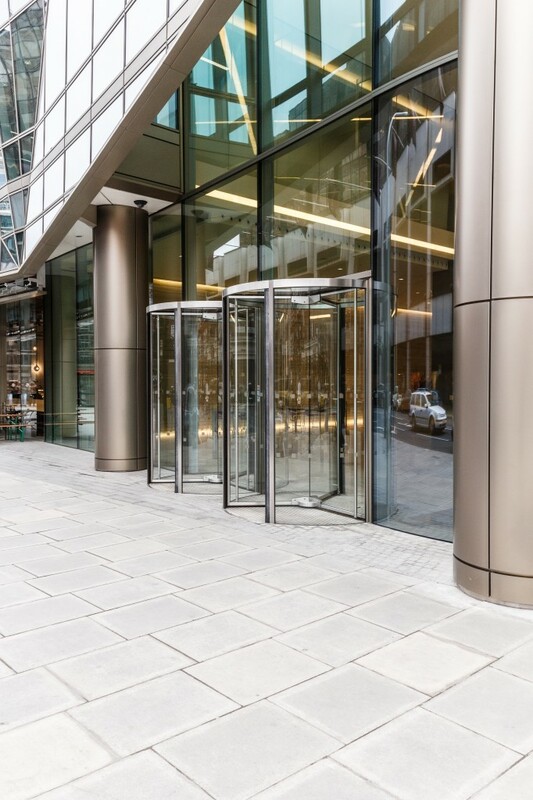 Their brief was to create a unique, sustainable building that reflected Land Securities’ ongoing transformation of Victoria. 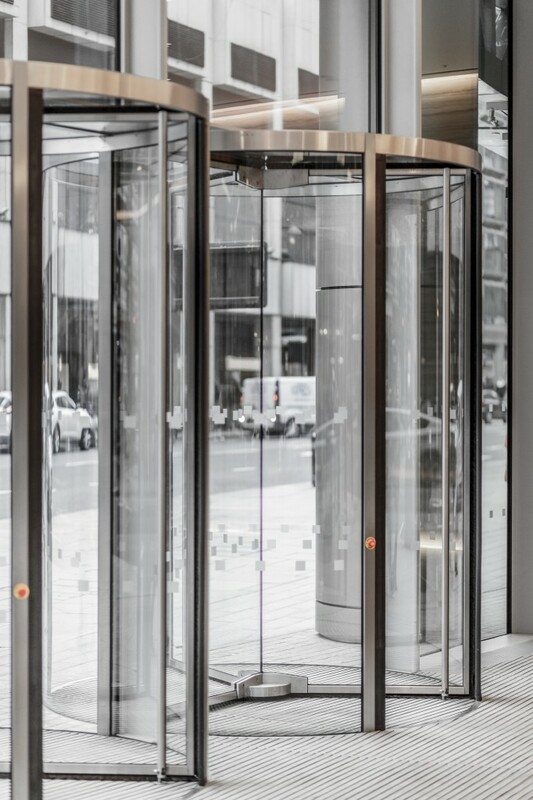 Land securities has decided to install special custom made revolving doors for Rolls Royce Headquarters. 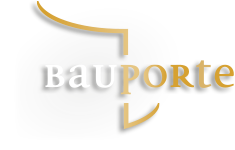 Pure quality and having the appearance of custom design was the most important criteria.